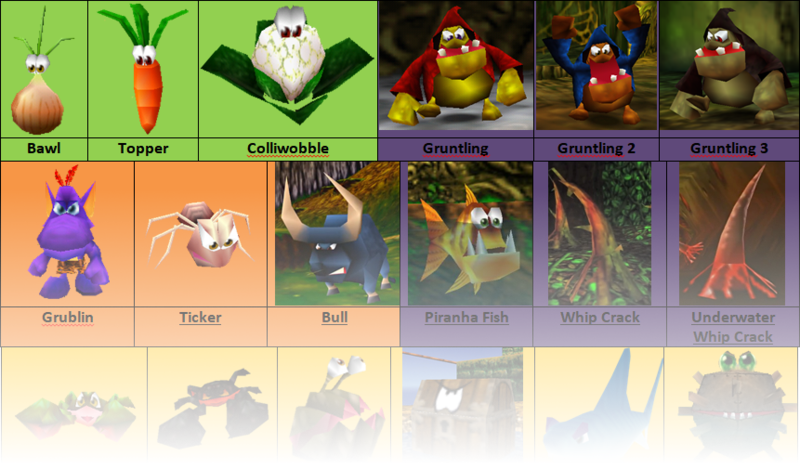 This is a .docx that I've written containing every available enemy to be placed in Banjo's Backpack, with each's name and image displayed. This is to help those that aren't familiar with Skill's unofficial enemy names + where they are in the list. Underlined enemy names are found in the Global tab in BB's enemy creation list. This is awesome! Thank you for your hard work, Retro! Nice job; This is actually really helpful because I am always trying to figure out the enemies names in banjo backpack. Thanks RetroNuva10.